I bought this yarn nearly a year ago, I believe, with the intention of making a nice scarf for my husband with it. But since he was never very enthusiastic about said scarf, it never got made. And then he renewed his determination to bike commute this winter and it dawned on both of us: he didn't need a scarf, he needed a cowl. 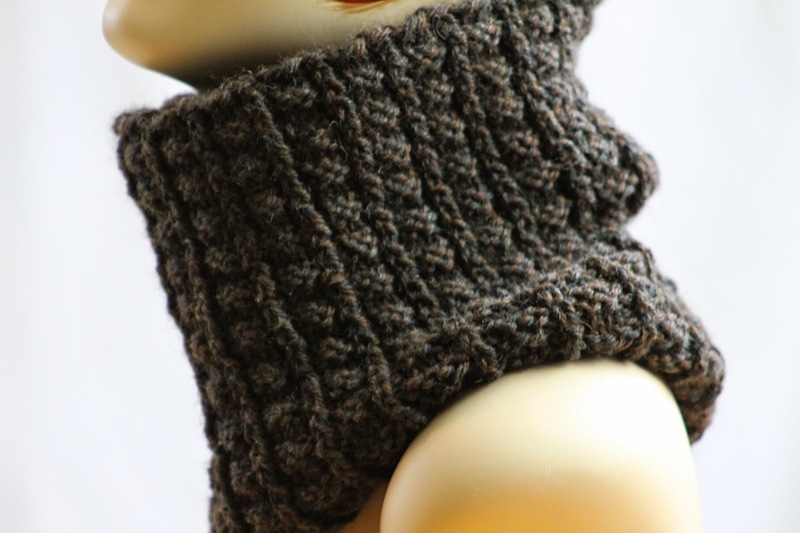 A nice, snug, long cowl that he can pull up over his face when the temperatures dip into the teens and the winds are blowing. And, to be quite honest, I'm kind of amazed that the idea never occurred to me before. After all, while I doubt he'll start wearing this cowl as a new man fashion statement (not because it isn't pretty, but because I haven't seen many men in cowls), it tucks into a jacket with much less bulk than a scarf, and looks just as nice. It's embarrassing to admit, but I'll do it anyway; I started knitting this blanket very shortly after my six month old baby was born, and I only just finished it yesterday. Of course, that doesn't mean that I don't dig the pattern or anything - I do!!! It's reversible and everything!!! It is not, however, as quick of a knit as I'm used to, since it's basically a 26" wide x 29" high rectangle made out of sport weight yarn. 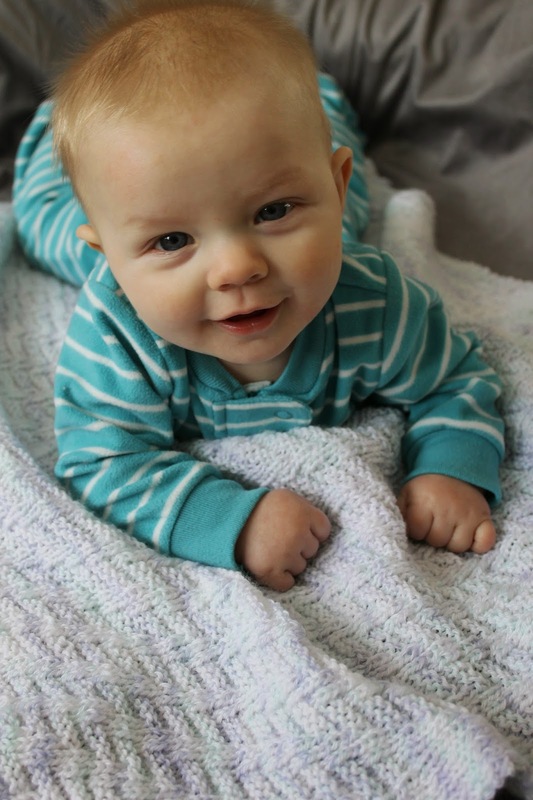 That being said, if you're going to make a baby blanket, the Rib & Welt Baby Blanket is a pretty good option. It's strikingly graphic, and did I mention the whole reversible thing? 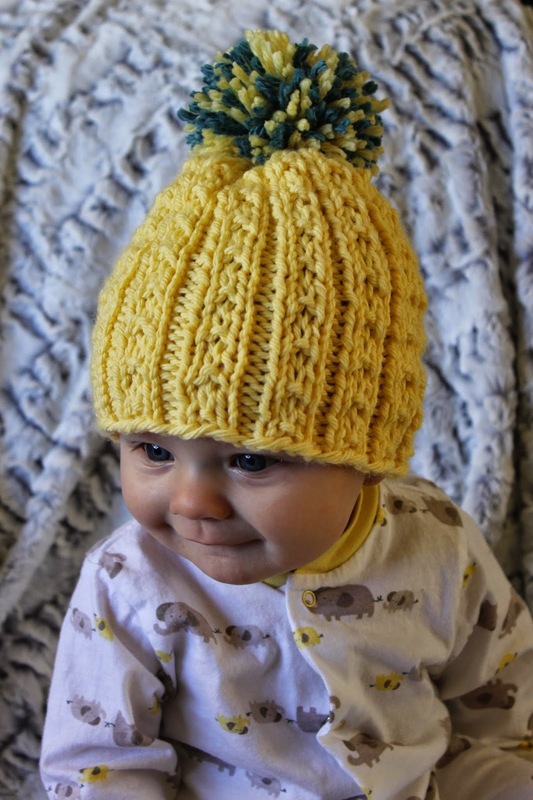 Plus, the pattern is very easy to learn, and babies look super cute on it. Although I've made hats of many other silhouettes, a reader recently reminded me that I had yet to post an earflap. And this reminder instantly reminded me of yet another thing - namely, that the last time I made an earflap hat, I had far fewer knitting techniques in my toolbox, and ended up having to cobble together a hat, some flaps, and some weird cast-ons with a crocheted edging, to hide the mess. 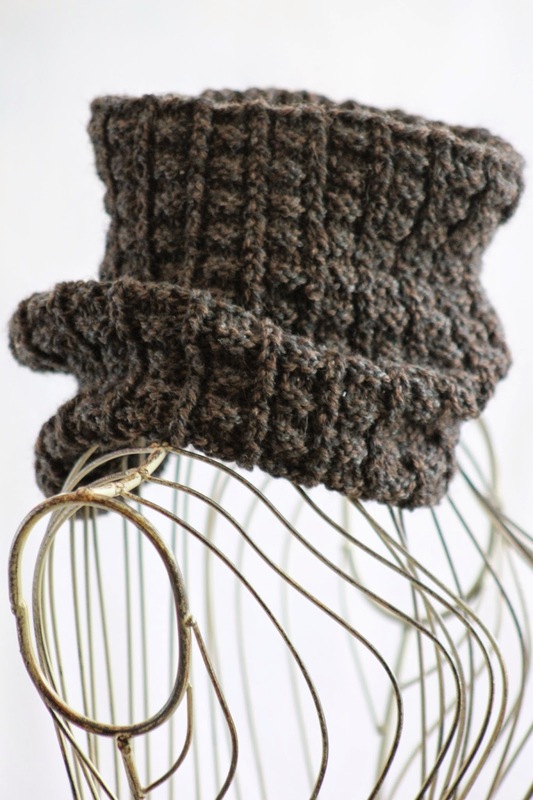 Now that I've progressed, however, I designed this All in the Family Earflap Hat with a basic but rather elegant design that uses a provisional cast on for a seamless, nicely finished look. 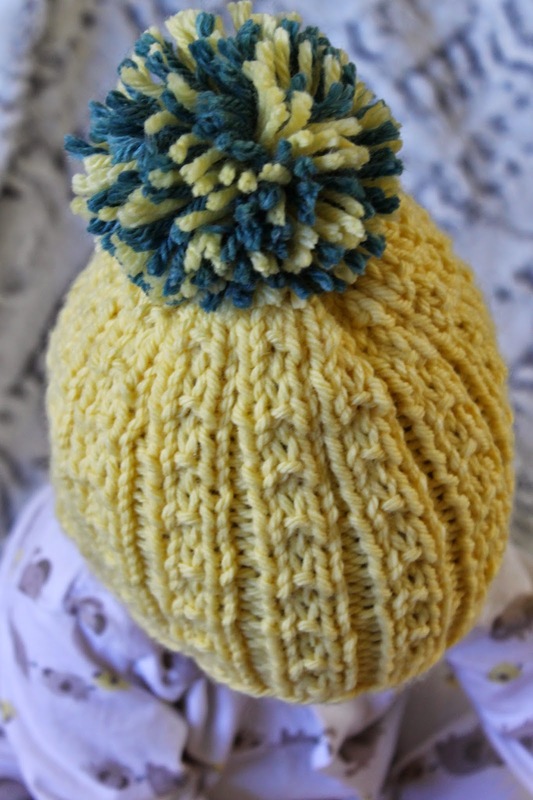 Plus, it doesn't require any crocheted hoo-ha for the edging (although of course you're welcome to crochet as much hoo-ha as you like; no judgment here). Also, as a note, I should mention that, though I very much enjoyed this yarn, I found the gauge recommendations to be WAY off. 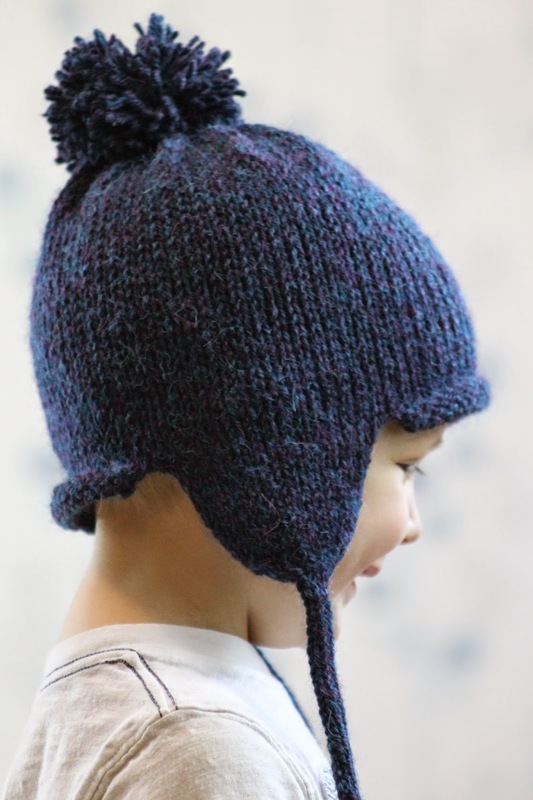 Thusly (and especially with a basic stockinette hat such as this), I highly recommend that you check your gauge before accidentally knitting a hat that would fit the Jolly Green Giant better than your kid. So let's get started! Using your largest needle and a provisional cast on, cast on 70 (77; 77; 84) stitches. Then, transfer stitches to your size 8 circular needle, place marker, and join in round. 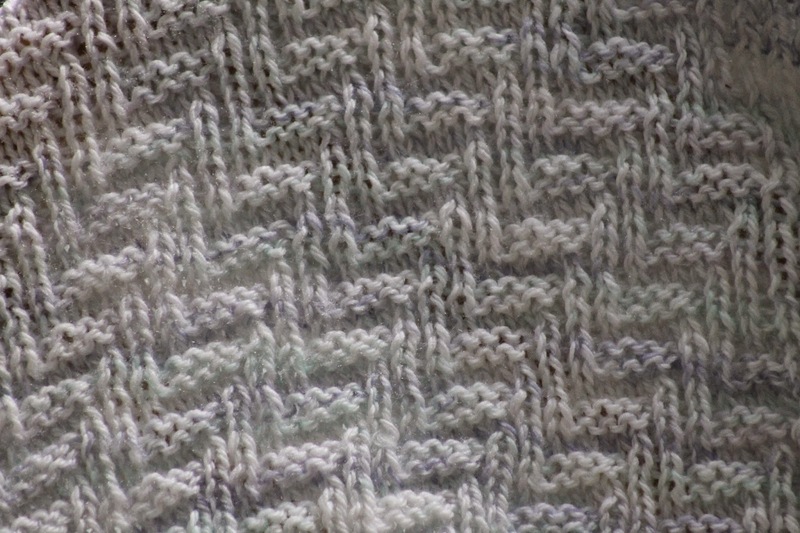 Knit until piece measures about 5.5" (6"; 7.5"; 8"), and then we'll begin the decreases, as follows. Remember to switch to your dpns once you're down to about 60 stitches. The baby is 6 months old now, so I figured it was high time he made his debut. 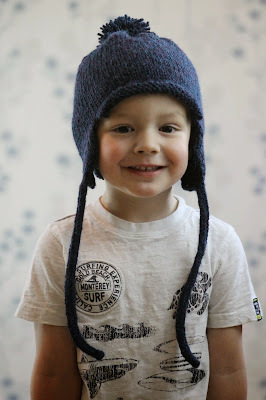 And what better way to do it than sporting a chunky weight baby hat that can be sized all the way up to 12 years (he's wearing the 9 month size, though - I just couldn't bring myself to knit something he would outgrow immediately)? Anyway, there's not really much else to say about this piece, except for the fact that it's a quick and easy knit, and that its subtle pattern is oh-so-cute.